U.S. 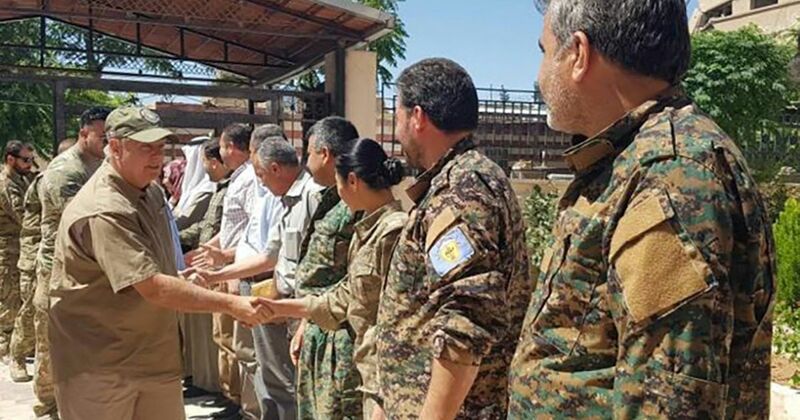 Senator Lindsey Graham has made an unannounced visit to the north Syrian town of Manbij to meet the United States’ Syrian-Kurdish allies in the area, where U.S. special forces are deployed. Until a deal was agreed last month, Manbij had been a flashpoint between the United States and Turkey due to the presence there of U.S. allies the People’s Protection Units (YPG), a group that Turkey sees as dangerous due to its links to the Kurdistan Workers’ Party (PKK), an outlawed group in Turkey. According to last month’s “roadmap” deal, YPG forces will withdraw from the area, and joint U.S.-Turkish patrols will take place along its periphery. The area, however, will still likely be administered by Kurdish-led forces allied to the United States. Graham said it would be “terrible” if the United States leaves Syria, and assured local officials he would argue the case for a continued U.S. presence in Syria with U.S. President Donald Trump. Trump instructed his military to begin planning for a potential withdrawal from Syria in April, and has indicated via tweet that he favours pulling troops out of the country.